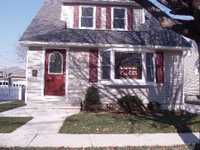 Wow its perfect for my family.This is the house that i been looking for. Colonial homes are very intimidating in terms of their architectural designs and the materials used. This is a good chance for those who aspire to have colonial homes. I have to say the these homes are durable plus the sense of a vintage feeling can be very interesting. Thanks a lot for featuring this house. Keep it up.